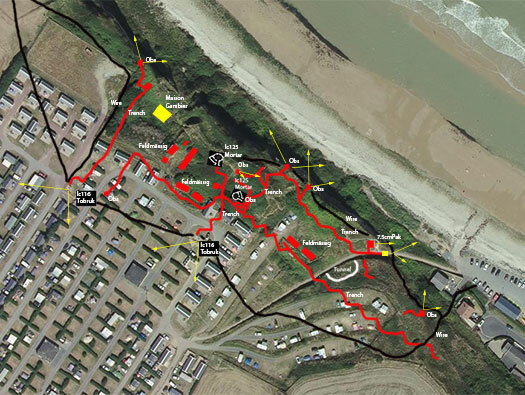 Wn73 Vierville-sur-Mer ouest, K.V.U. Gruppe Percee, Normandie. Wn73 on the eastern flank of StP Vierville covering the beach exit with Wn's 72 & 71. 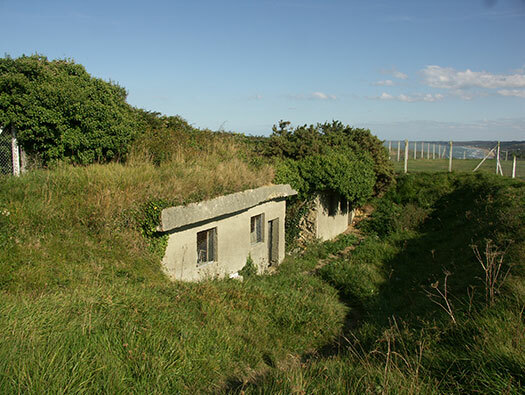 Based around an old derelict house 'Maison Gambier' and two mortar Tobruk's for 8.1cm Brant (f) mortars. 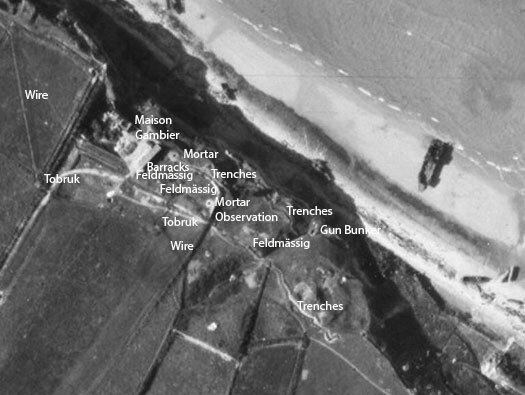 There would also have been quite a few machine guns situated pointing down onto the beach and valley. 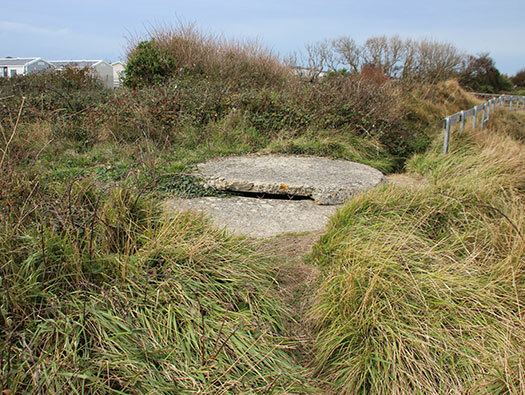 An old 7.5cm anti-tank gun was set in a small bunker probably made by the gunners out of one course of concrete blocks. 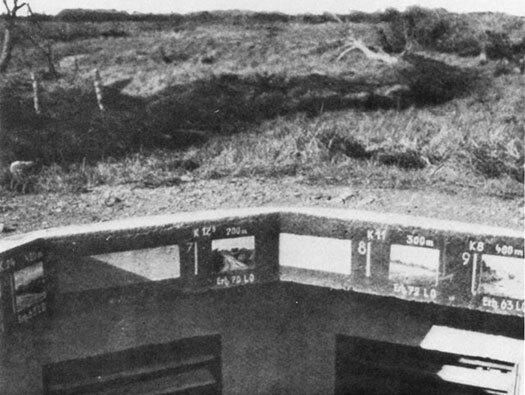 A mortar observation bunker was added to the forward mortar Tobruk. 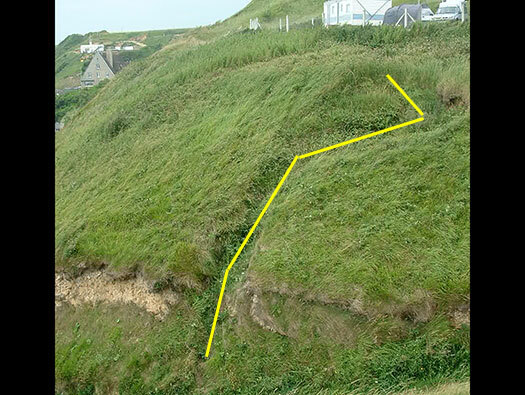 The cliff edge is now quite dangerous and the area is very overgrown. 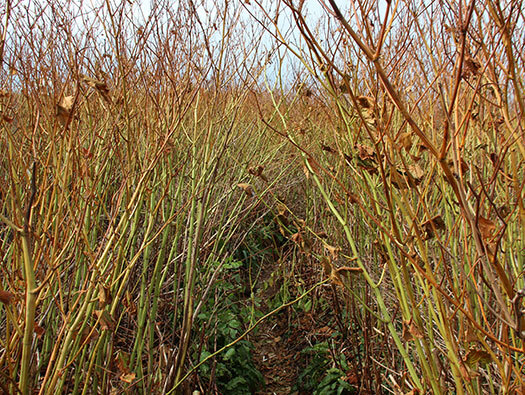 Japanese Knot weed has been dumped in the area and taken over, parts also are just inside a large caravan site and two Tobruks can be seen there. The old house has now gone but the five Felmässig accommodation buildings are all there. 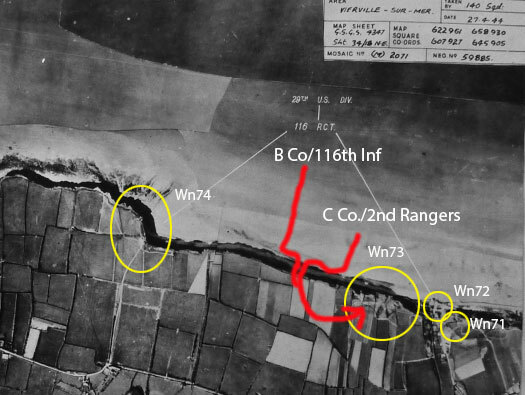 Attacked by Rangers and some infantry of the 116th Inf. 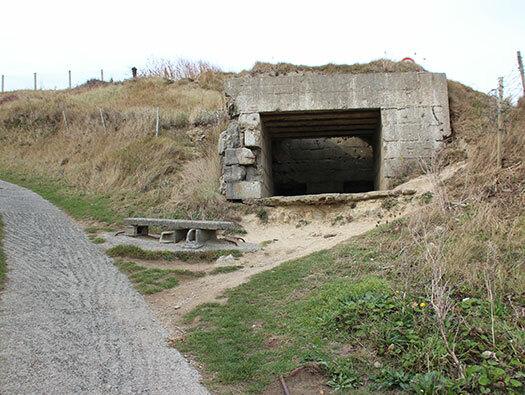 on D-day, the position was taken and that helped the D1 Draw (Valley) to be opened to traffic. Target indicators painted on the mortar Tobruk's. 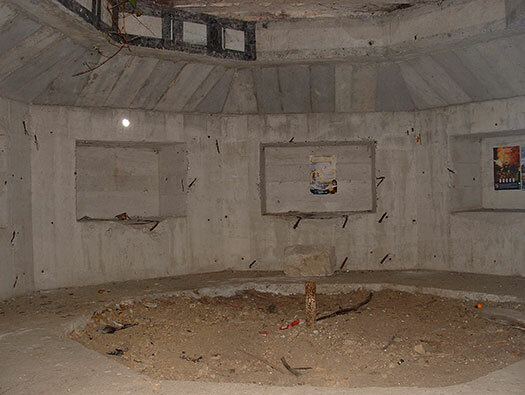 5 x Feldmässig concrete barracks. 2 x Ic125/Vf61a emplacements for Mortars. 1 x SK/Schartenstand for Pak. 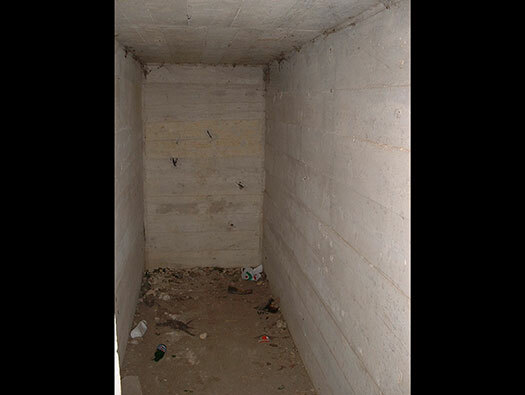 1 x Barracks (possibly a wooden hut). 1 x 7.5cm Pak 97/38. 2 x 8.14cm Gr.W. Brant (f) Mortars. 8.14cm Gr.W. Brant (f) Mortars. The German map of all the positions around this area with Wn71/72& 73 making StP Vierville, I have seen on some maps that Wn74 may have been added to StP Vierville?? 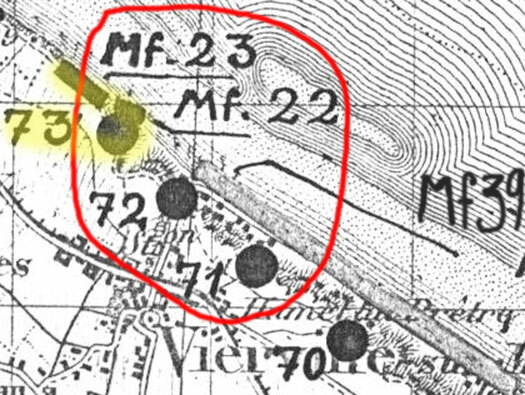 Mine Fields Mf.23 running to the west along the cliff top and Mf.22 along the face of Wn73. A very good air photo of Wn73. I have added details to this photo. The view a few Americans had as they were landing. 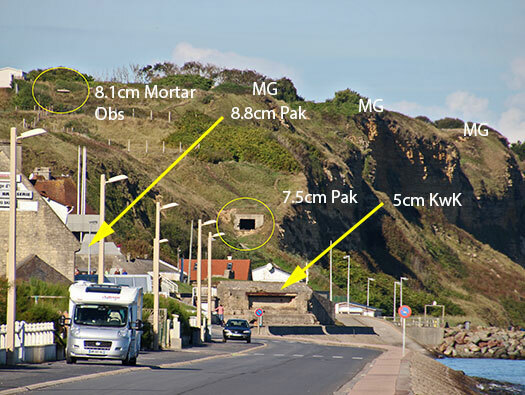 On the cliff : - L/R - Observation for two 8.1cm Mortars, at least three Mg.34/MG.43's. 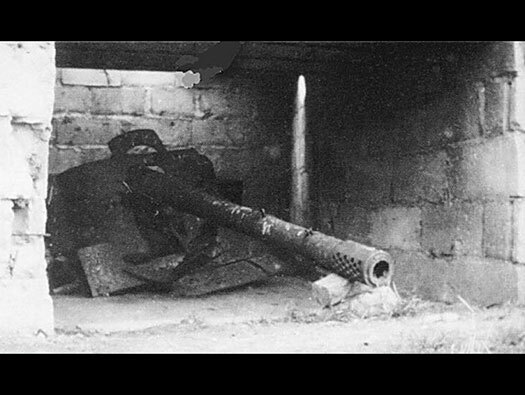 Below the cliff : - L/R - an 8.8cm Pak 43 in a casemate (Wn72). 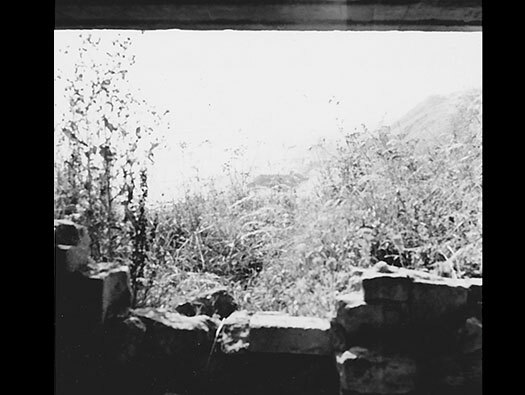 A 7.5cm Pak 97/38 in a small casemate (Wn73). 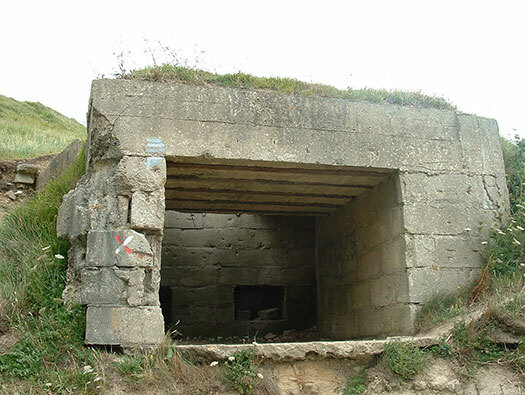 A Doppelschartenstand casemate for a 5cm KwK L/60 (Wn72). That is some fire power. 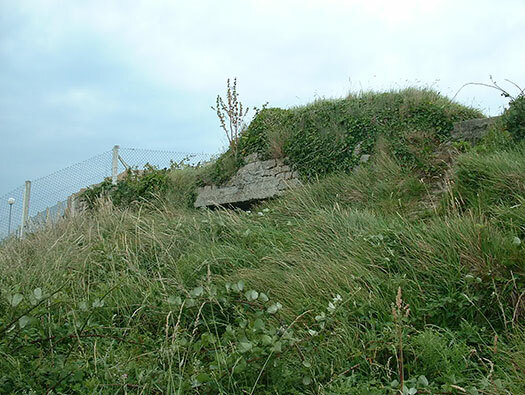 A closer look at the 7.5cm Pak 97/38 casemate on the hill probably out dates the casemates in Wn72. 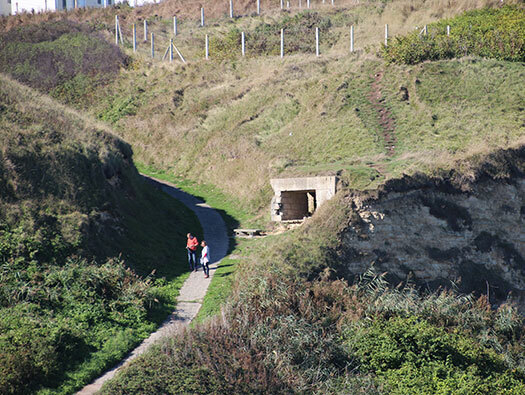 When in 1943 that the coast had to be defended Infantry troops moved here and dug in in earth emplacements. Gradually they were issued heavy weapons like mortars and anti-tank guns. 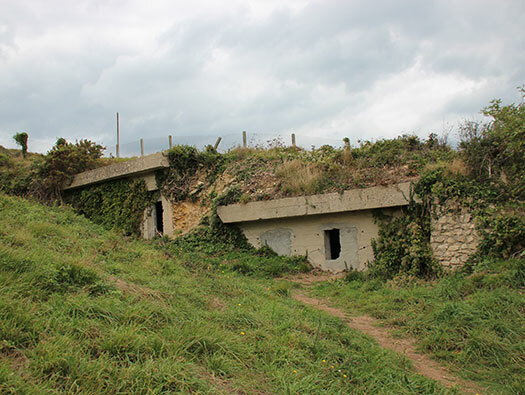 They may have managed to get the Todt organisation to build them the two mortar Tobruk's, an open emplacement with a small added ammunition room. When a Pak gun turned up it was an old 1897 75mm French field gun converted onto a sma 5cm Pak carriage and a newly designed muzzle break fitted. Ammunition was plenty full, as it was all captured from the French and converted to armoured piercing. The gun was rushed into service on the Russian front but when it became super seeded by better guns they were then distributed out to static units. No extra gunners were employed, either the heavy weapons platoon took them over or it was just regular infantry men. An old 1897 75mm French field gun converted onto a smaller carriage and a newly designed muzzle break fitted. Muzzle break, when the gun is fired, the barrel recoils backwards. By adding a muzzle break, hot gasses shoot out backwards out of its holes as the shell passes and for a fraction of a second. That slows the barrels travel. Thus allowing for a shorter carriage. 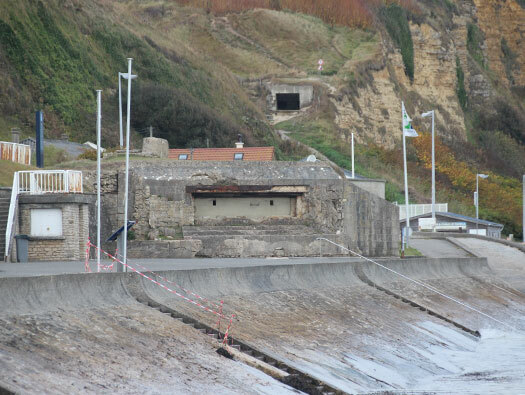 The casemate for the 7.5cm Pak 97/38 set into the hill and completely hidden from the sea side. 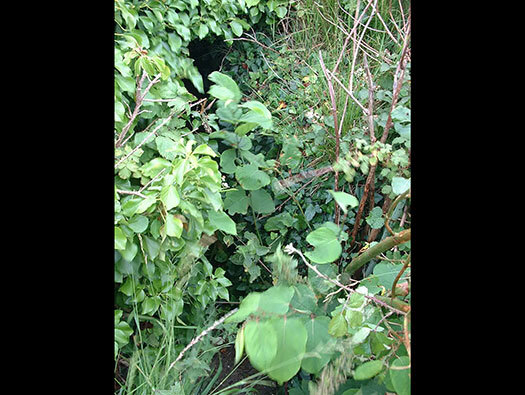 A trench ran from behind it up the bank to the mortars above and another across the path and up the left side of the defence. On the top of the hill the mortar observation post (the horizontal piece of concrete) showing up. 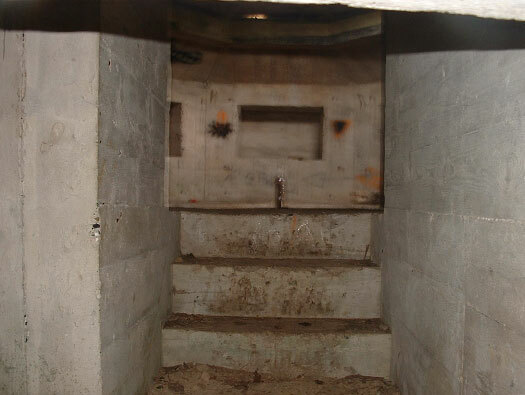 In the foreground are some pieces of steel rod, they maybe steps that were set into bunkers to climb up or down. These the ones in the picture foreground. More steels both sides of this seat. 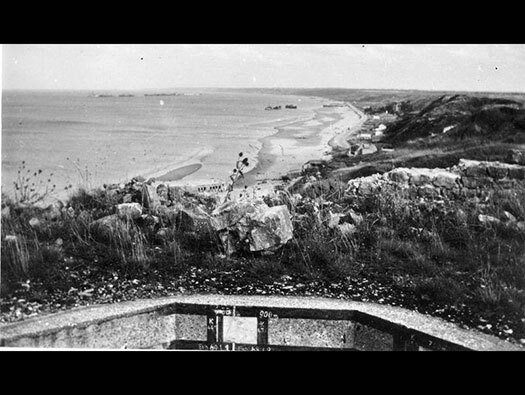 There looks to be an extra position, either an observation for the guns crew or a machine gun position. Barbed wire covering the steep hill side. 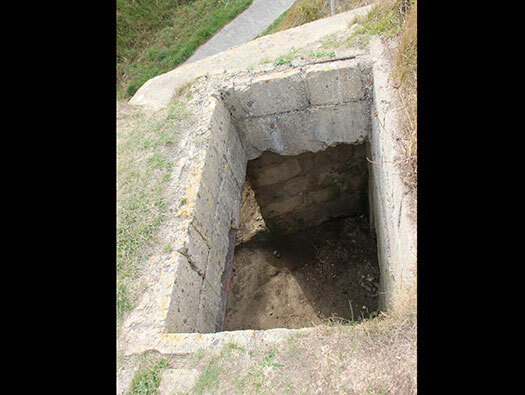 A well made construction of no known design, probably one of the infantrymen was a builder in an earlier life?? 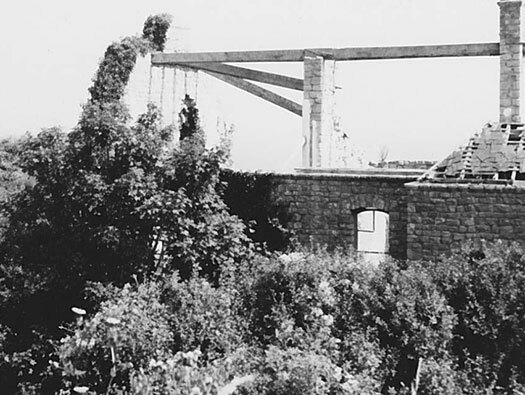 An extra strong wall on the seaward side and reinforced steels in the roof. 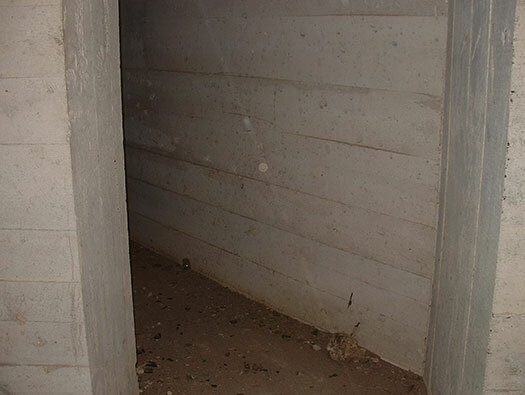 Small ammunition niches in the rear of the casemate and some more space on the right side. 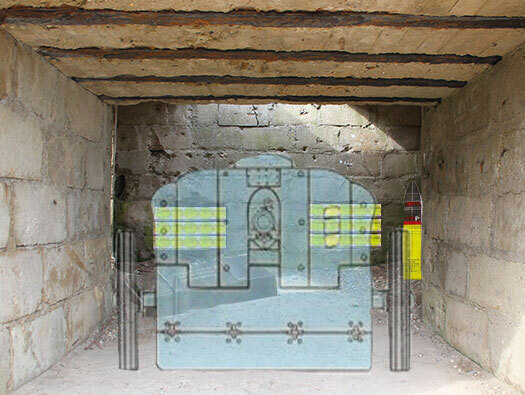 I have added about 30 rounds of 7.5cm ammunition inside the niches to give an idea how it may have looked. At the beginning of the war with the Russia, the Germans collided with T-34 and KV tanks. In a hurry, the Germans began developing tools to combat them. One of the measures was the use of 75 mm barrels of the French field gun of the sample of 1897 - several thousand such guns were seized by the Wehrmacht in the course of campaigns in Poland and France (Polish guns were bought from France in a rather large number). In addition, a large ammount of ammunition also fell into the hands of the Germans. 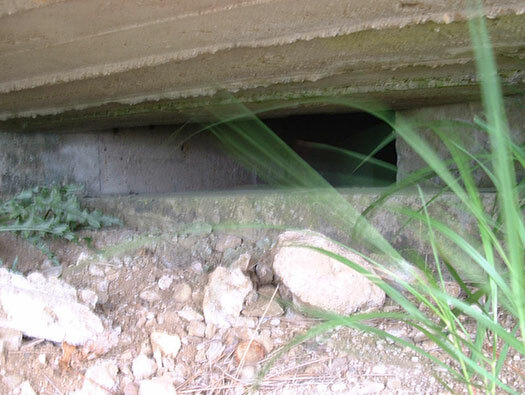 In France more than 5.5 million shells were seized. The barrel was equipped with a new muzzle brake and gun carriage from the Pak.38 gun. Thus the 7.5cm Pak 97/38 was born. In the roof is a hole to let out fumes that would have been trapped inside when firing. The view down to the beach. The range from here to the white van is 150meters, the gun is capable of putting a shell through 43mm at 2000meters. The front armour on a Sherman tank was 50mm. I will let you work out the maths. 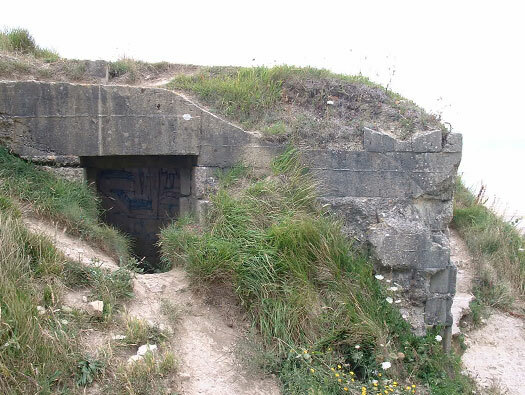 This is the side door where spare ammunition would have been stored somewhere out here. 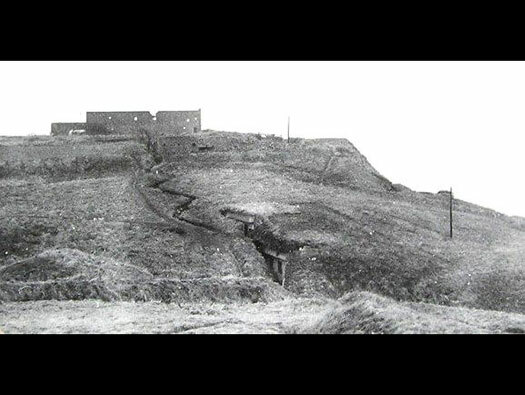 Across the path is a trench running up the hill to the forward part of the defence overlooking the valley. 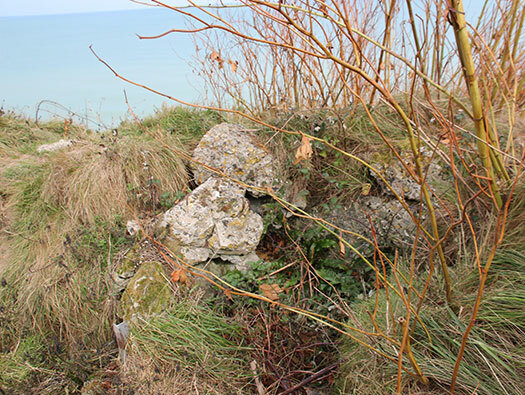 This is the mortar observation post looking down to the beach and if it was connected via telephone line to the second mortar and the 7.5cm Pak gun, it could have controlled all the main weapons on this hill. 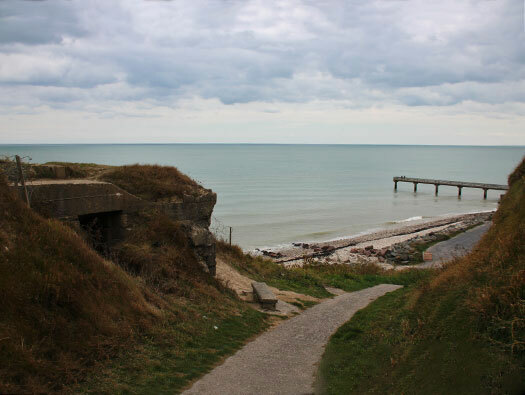 It may also have had connections with artillery control inland and be able to call down direct fire onto the beach. 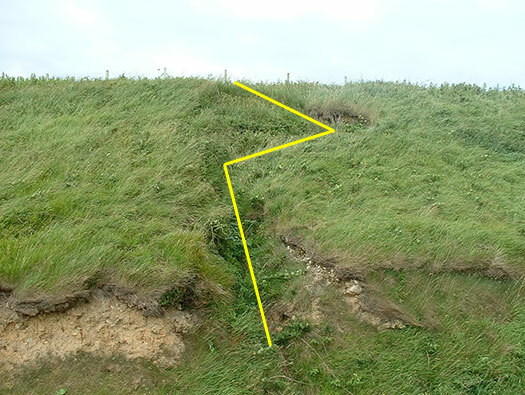 This just shows how hard it was to get in in 2004, this is the trench system to bunker. 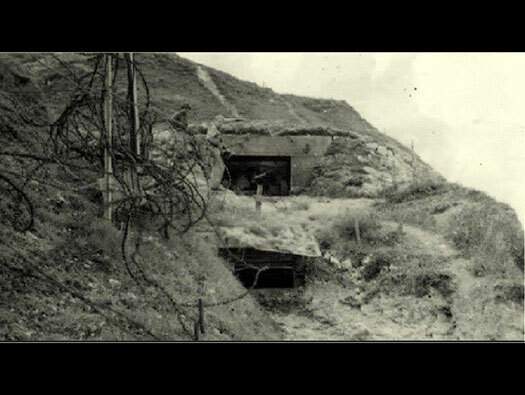 The Americans complained about shooting at a German and he then disappears into a trench and appears in a completely different place. Down in the trench you can see the stone wall lining of the trench. The view outside and why did I not take more photos inside sorry. 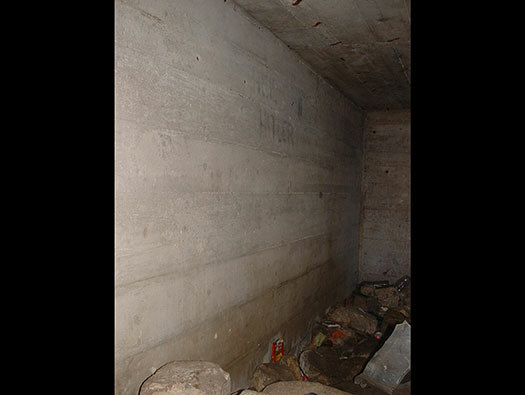 This is the ammunition space for the Ic125 Mortar emplacement and stored here would be boxes of 8.14cm Gr.W. mortar bombs. Wooden boxes of 8cm mortars rounds. If the gun was to be used in the field then ammunition would be carried in these boxes. 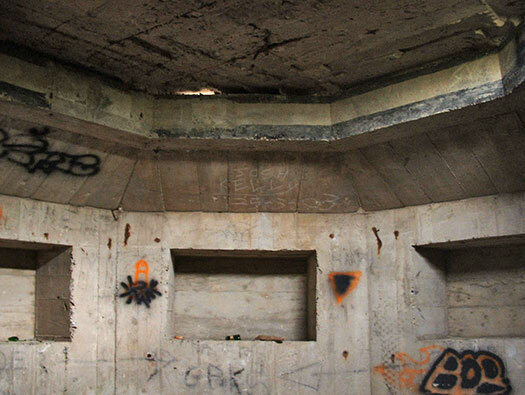 This is where the mortar tube would have fitted and could be moved around 360°'s. On the lid today is a solid concrete cover to stop people falling in, (H&S). 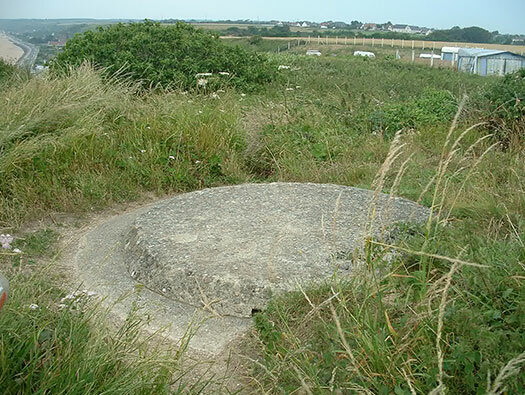 But at the time the crew would have had either a wooden cover to keep out the weather or a steel sheet of metal to drag over the hole to protect them from flying splinters when bobarded. Full crew for two mortars. 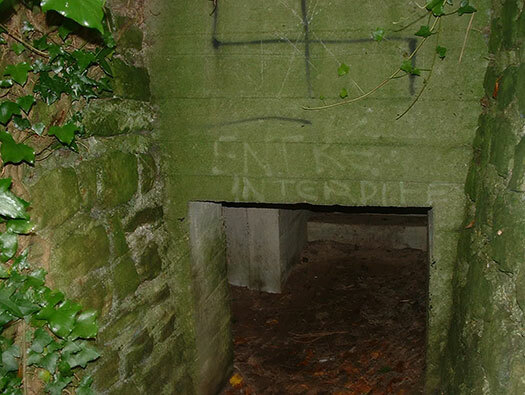 Around the lips of these and many other bunkers where diagrams of targets and distances to them were painted on. They still existed in 2004 and can be seen very well. You can see the beach on this one. Here is what they looked like just after being captured. Note the ammunition niches have been cleared out of all their mortar bombs. Looking down beach and you can see the painted target indicator for this part of the beach. 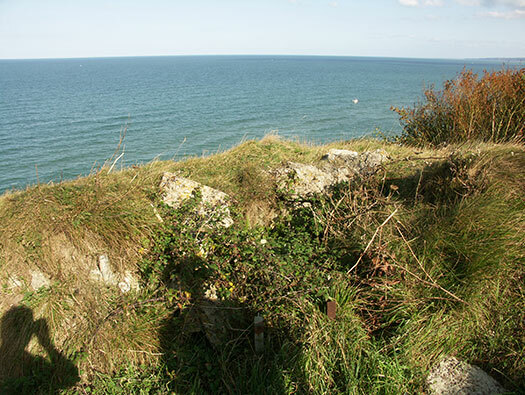 This is one of the cliff edge defence positions. Note the two angle irons sticking up. Cold and wet in the winter and very hot in the summer. 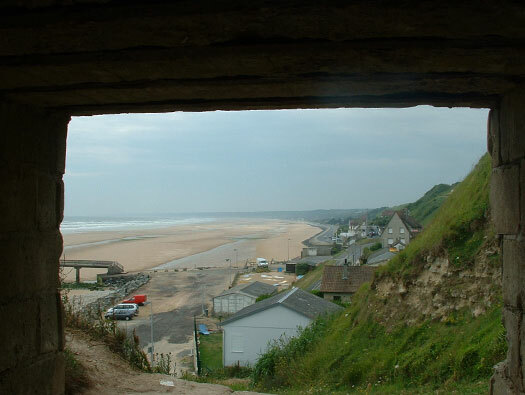 The view from here on D-Day would have been overwhelming. Right out on the horizon battle ships shooting, then destroyers, landing ships, landing craft. Smoke and shells landing in the sea, shells flying over their heads and also landing around them both German and Allied. 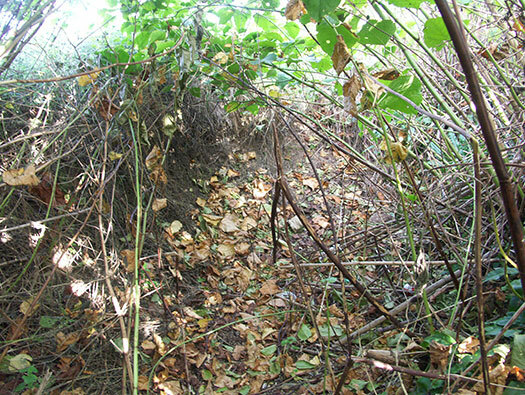 Back in the trenches and that lovely Japanese Knot Weed, now that was a good idea to dump it here. Well done Mr Gardener. 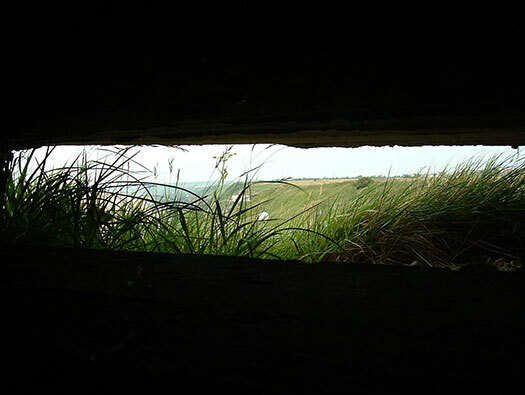 Another defence position looking over the cliff edge. 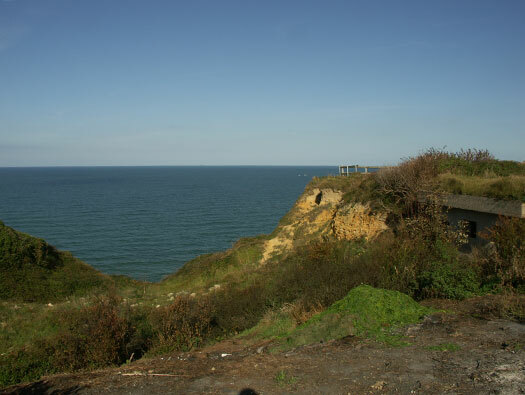 LCT's and LCA's passed under this cliff and landed to the left. 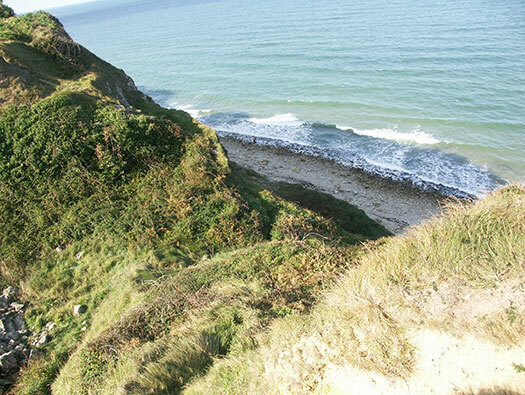 They lost almost half their men between leaving the boats and getting under the protection of the cliff from gunfire from Wn74 & Wn73. The sea is to the right. 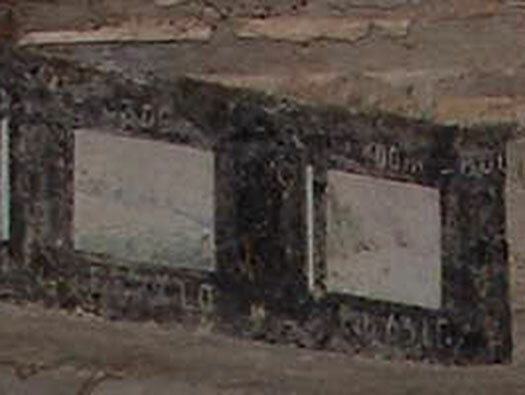 Inside the painting I think is of the sea and three of the many ready ammunition niches. To the west of here C Co./2 Ranger Bn. landed and climbed up the cliff just like this one. They came in to the front of Wn72 but realised that it would have been murder to land amongst some of the heaviest firing along the coast. They turned west and landed to between Wn73 & Wn74 still taking a lot of machine gun cross fire. Although they took a lot of casualties. 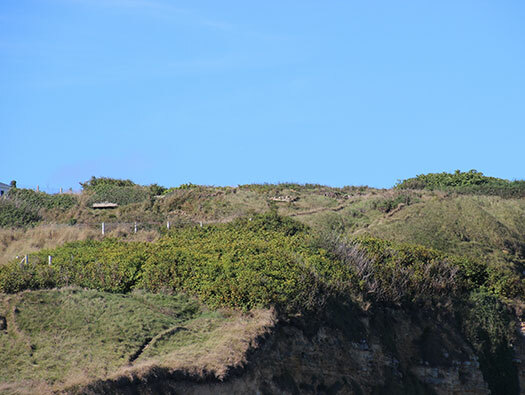 They did manage to get off the beach and move under the cliff along about 300m to find a place to cliff. 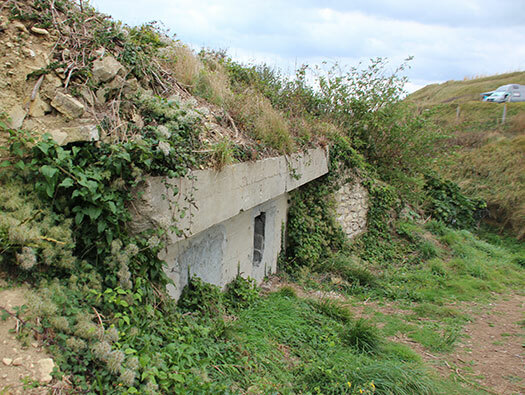 Realising that although thier job was to go straight to help their collogues at Pointe du Hoc, instead they turned left to start clearing Wn73. The right decision in the circumstances. LCI's moving into the shore. Captain Ralph E. Goranson C Co./Ranger Bn. Tom Hanks portrayed him in the movie "Saving Private Ryan" but not attacking here. The Rangers and members of the 116th joined together and advanced through Wn73 taking out each position one at a time. 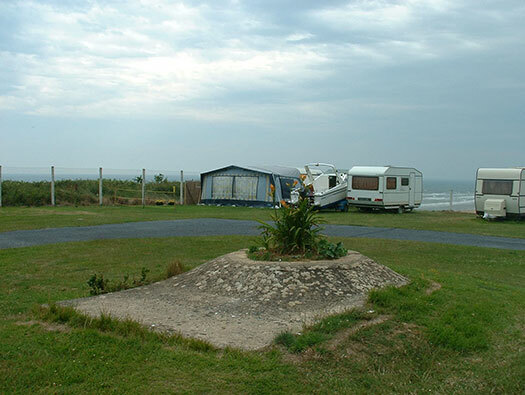 The site of the old house. 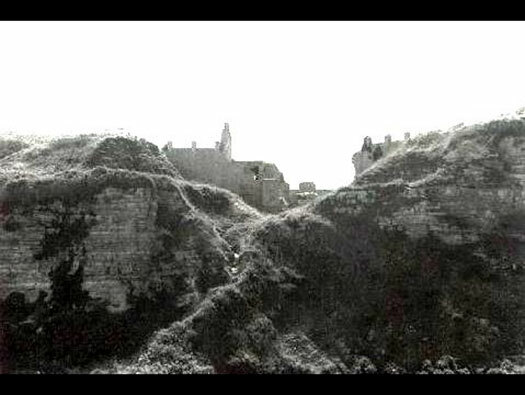 The ruins on the hill. 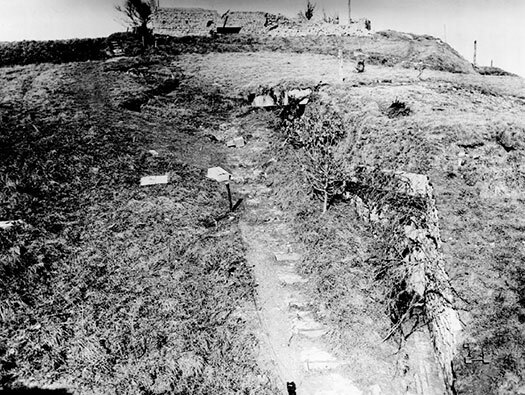 Another view of the ruins on the hill. A lot of the house would have been removed to add to trenches and bunkers. 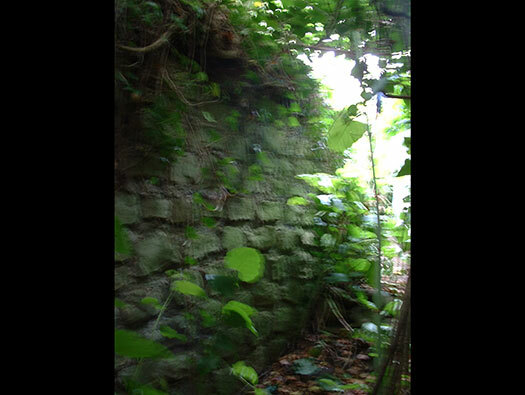 This is the use made of the old house and its ruins, it could be a machine gun or a riflemanâ€™s position. 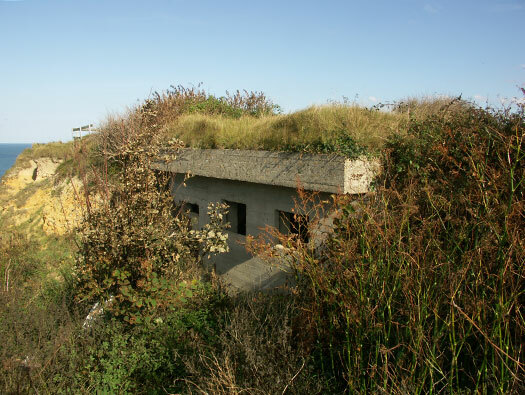 Along the coast here are several concrete buildings like this semi sunk into the ground. They are reinforced concrete offices/accommodation. This Wn actually has five and they are all still here. Two more just around the corner. 2 x Ic116 Tobruks are covering the rear areas. The two Feldmässig four & five set into the side of a trench running up to the top of the hill. The two Feldmässig four & five this picture possibly taken later than the one before as the trench looks filled in and steps to make access better to the top. Now its all dug out to of been used by the camp site.